We utilize the most current technology in our industry. Using the best equipment allows us to provide our clients with high-quality products on time and on budget. We realize that most people could care less about what model of press or copy machine we use, so long as they receive what they ordered. Still, we can't help bragging a bit about our toys. Once you see how great they make your projects look, you will understand! Our design department uses both Mac and PC based software. We are proficient in Quark, Adobe InDesign, Photoshop and Illustrator. We have the education and background to deliver graphic design comparable to "BIG CITY" art houses. Great design for your project is right here in the heart of Arkansas! Have questions about working in Adobe CS? We are here for you! Call us at 501.329.2924 and we can walk you through most any problem. Our RICHO® digital printer is fantastic at giving you the professional printing look at a much discounted price! Send us your electronic files to produce professional quality digital prints for, full color brochures, newsletters, programs, business forms, posters, you name it! Printing is our life! We love printing so much we put it in our name! We use Heidleburg presses for our spot and one color jobs. 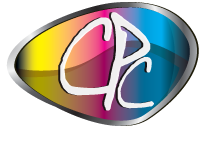 They have delivered crisp, professional printing for years and we stand by them! It's all the trimming, folding, book binding, stapling, spiral binding, gluing etc., that every professional final product needs. The polish, if you will. Our Horizon folders make the job fast and accurate. This is good for you because it cuts our time to finish your job, so you can get your project out into the public!